How much is Zack Snyder Worth? 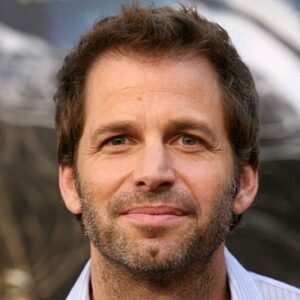 Zack Snyder net worth and salary: Zack Snyder is an American actor, producer, film director, and screen writer who has a net worth of $40 million. Zack Snyder is probably best known for his many blockbuster films including Justice League, Batman V Superman, Man of Steel, 300 and many more. He was born in Wisconsin, raised in Connecticut, and comes from a creative background. He attended Heatherley School of Fine Art, and took a big interest in filmmaking at a young age. He started out as a director and cinematographer for television commercials with renowned names including Audi, BMW, Nissan, Nike and Reebok. Snyder received numerous awards for his commercial work, includuing two Clio Awards and a Gold Lion Award for a Jeep commercial. 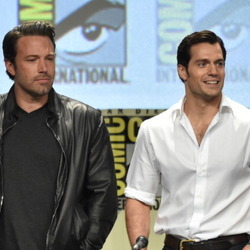 In 2004, Snyder set up a production company, Cruel and Unusual Films, along with his wife Deborah Snyder and producing partner Wesley Coller. Snyder wasted no time releasing his film debut, the re-make of Dawn of the Dead, and went on to work on several hit films, including 300, Watchmen, Man of Steel, Batman v Superman: Dawn of Justice, Justice League Part One and Justice League Part Two. Snyder lives in Pasadena with his second wife, producer Deborah Snyder whom he married in 2004. He has seven children, half of whom are adopted. Who Is The Richest Batman Actor?